Wouldn’t it be wonderful if there were a magic potion that made children excited about homework? 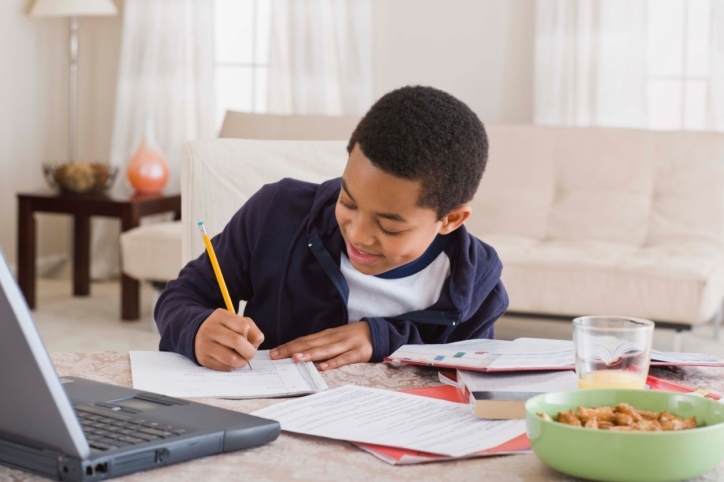 In the meantime, here are some tips to develop a healthy homework routine that will work for both you and your kids. Homework (and homework routines) are good for kids. One of the biggest keys to winning the homework battle is to understand that homework is an excellent learning tool. It may not always seem that way, especially when the kids are only halfway done after two hours, but the work they do in the living room supports what they learn in the classroom. If you don’t believe this, there’s little chance that your kids will. Simplify the process. Do your best to make homework routines as simple as possible. An important first step is to set aside a specific area for doing homework. It should be well-lit, quiet, and free from distractions such as TV and music. Also, make sure your child has the tools for homework within reach, including pens, paper, glue, a ruler, calculator and scissors, or whatever else may be required. If your child needs to leave the homework area to find these items, there’s a good chance they’ll get distracted along the way. Stand firm. If a child refuses to do their homework, there should be an immediate reprimand at home, such as no TV or an early bedtime, or whatever works best for your family. Additionally, the child should write a note to his or her teacher explaining why the homework was not completed. Don’t do homework for your child. Doing it won’t accomplish as much as you think. Yes, your child may get the right answer, but he or she may also miss out on the process of learning and the logic involved. If your child has the right answer but doesn’t truly understand what they wrote down, the teacher won’t have a full understanding of your child’s abilities and needs. Do your homework, too. Kids sometimes feel that homework is a dreaded task that keeps them away from having fun. That’s why it’s important to help homework routines become fun for your child. One effective technique is to do your own “homework” while they’re doing their work. For example, if your child is doing math, it might be a good time for you to pay bills or balance your checkbook. If your child has a reading assignment, you could pick up a cookbook or work-related materials. The idea is to help your child understand that you have a homework routine, too – and are not complaining about doing it.